Another path cleared for autonomous AI workers. Just when it seemed like every type of vehicle imaginable had an autonomous version — self-driving cars and taxis, unmanned boats, subs, and planes, and even self-driving wheelchairs — Ontario tech firm Clearpath Robotics raises $30 million in funding for OTTO, an autonomous vehicle developed exclusively for material support. 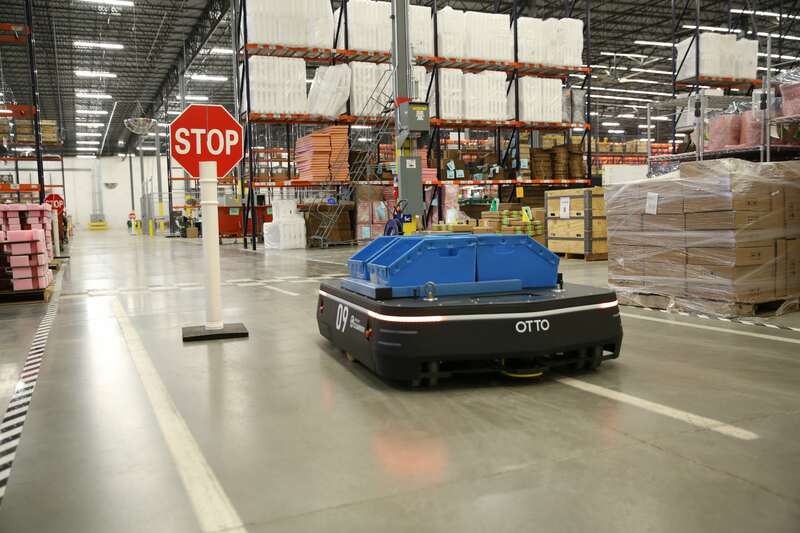 OTTO is already employed by some automative factories to do “line side delivery” or moving parts to appropriate workstations to facilitate quick installations and assembly. The vehicle is capable of plotting its own path using LIDAR and other sensors, and it can recharge or refuel itself when it’s low on power. The $30 million in funding will be used to scale up production of OTTO and to develop other robots in the near future. Clearpath Robotics is ahead of Google and Tesla when it comes to attaining safety ratings and landing clients, like GE and John Deere, for is autonomous vehicles (it helps, of course, that OTTO is largely used indoors in a controlled environment), and the company sees OTTO as the future of moving boxes and pallets around factories, warehouses, and distribution centers, just like those freight droids roaming docks and imperial star destroyer bays in Star Wars. “Boxes and pallets moving around the world in the global supply chain are the circulatory system for global commerce. We believe if we can move them more efficiently we can do profound things for the economy,” CEO and co-founder Matt Rendall told TechCrunch. Whether those “profound things” will be good for the bottom line or for the human workforce remains to be seen. This continuous development of AI technology and autonomous vehicles seems to confirm earlier predictions made about the impact of robots on U.S. labor with AI expected to replace 7% of jobs by 2025. Of that, Uber’s autonomous cars alone are expected to replace around 10 million jobs, so while kicking back during the daily commute may sound appealing, the advent of self-driving vehicles could have an impact far beyond the freeway.